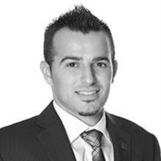 As a Senior Private Banker, Ricardo has over ten years of professional Wealth Management and Retail Banking experience. He takes a holistic approach to meet client's needs, pairing professional, highly tailored banking and credit solutions with an authentic personal relationship. With a deep understanding of each client's goals and values, he will engage the appropriate TD Specialists who, together, can help clients create and implement unique and integrated wealth management solutions. This may include estate, trust, business succession planning, investment strategies, and investment management. Ricardo has demonstrated a commitment to continuous education and has earned the professional designation of Certified Financial Planner CFP®, a Certificate in Retirement Strategies, a Certificate in Estate Planning & Trust Strategies, Canadian Securities Course and has also earned a Bachelor of Commerce with a major in Finance from Ryerson University. He is currently working towards completing the designation of Certified International Wealth Manager.